Hillel was decorated in accordance with the theme of the event. Jenna Pierson/Mitzpeh. 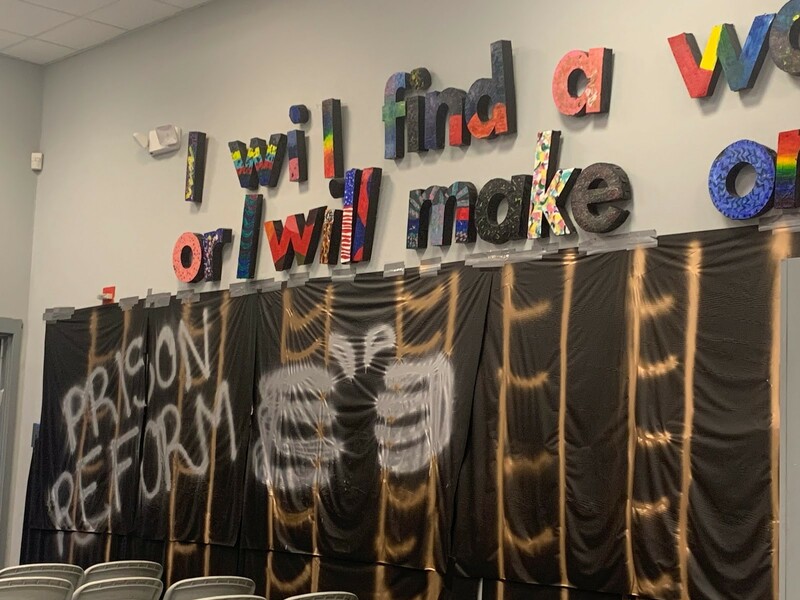 Maryland Hillel hosted its seventh annual Global Justice Shabbat Friday night March 29th on the topic of prison reform. 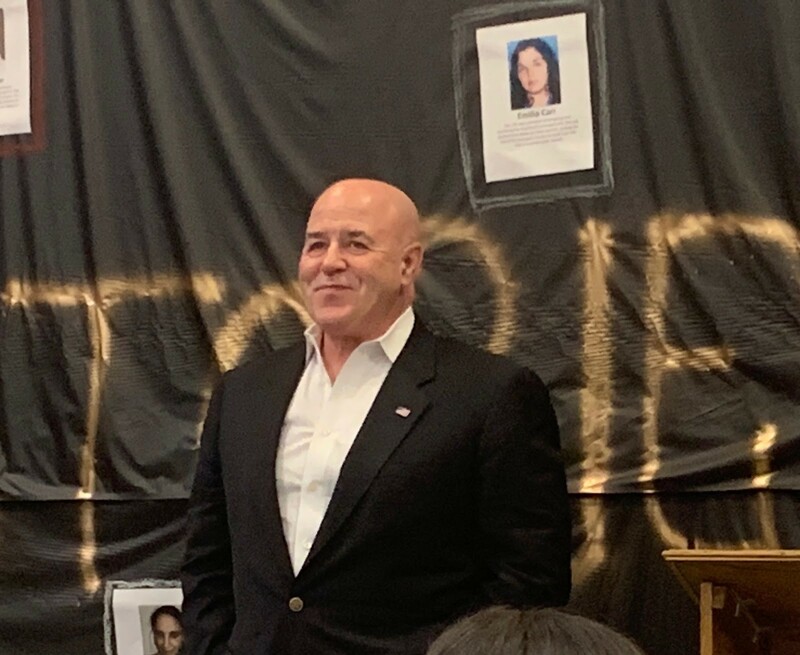 The event consisted of a Shabbat dinner with a speech and Q&A session by former New York City Police Department Commissioner and convicted felon Bernard Kerik. He spoke on the injustices of mass incarceration and how his time in prison changed his outlook on life and inspired his work. Kerik is the author of the 2015 novel “From Jailer to Jailed: My Journey from Correction and Police Commissioner to Inmate #84888-054” and spends his time speaking as an advocate for changes in the criminal justice system. Kerik recounted his lengthy career in the criminal justice and correctional systems, starting from when he was a cop in New Jersey and eventually leading to the role of NYPD commissioner during 9/11 and nominee for director of the Department of Homeland Security. All these accolades could not possibly prepare him for what would come next. It was Kerik’s four-year sentence in federal prison and the people he encountered during his time there that opened his eyes to the need for reform. Speaker Bernard Kerik received applause at the beginning of his presentation. The wall behind him was decorated with profiles of individuals who have been at the center of the prison reform debate. Jenna Pierson/Mitzpeh. Many students felt compelled by Kerik’s story and the nature of his time in prison as a former highly-regarded member of law enforcement to become more socially active. Kerik stated that he believes prison reform is a social justice issue that should be considered in both the legislative and executive branches daily, and several students in attendance strongly shared the same belief. Kerik stated that he remains hopeful the nation will continue to take steps in the right direction to decrease the number of individuals who fall victim to the aggressive mindset of prison for non-threatening charges, and that by making these changes we will also be able to revitalize areas of low socioeconomic status and reduce overall crime rates in major cities. No Replies to "Hillel hosts annual Global Justice Shabbat with focus on prison reform"